Almost every business will aim to be more environmentally conscious in the coming years, but some businesses may not know where to start. When it comes to packaging, the focus is on reducing waste and using recycled materials whenever possible. There are many ways to make your business more eco-friendly, many of them involving your choices in packaging. Businesses can lessen their negative environmental impact by choosing packaging made from recycled content, and that are easily recyclable. To be considered eco-friendly, packaging has to have a minimal impact on the environment during its life cycle. 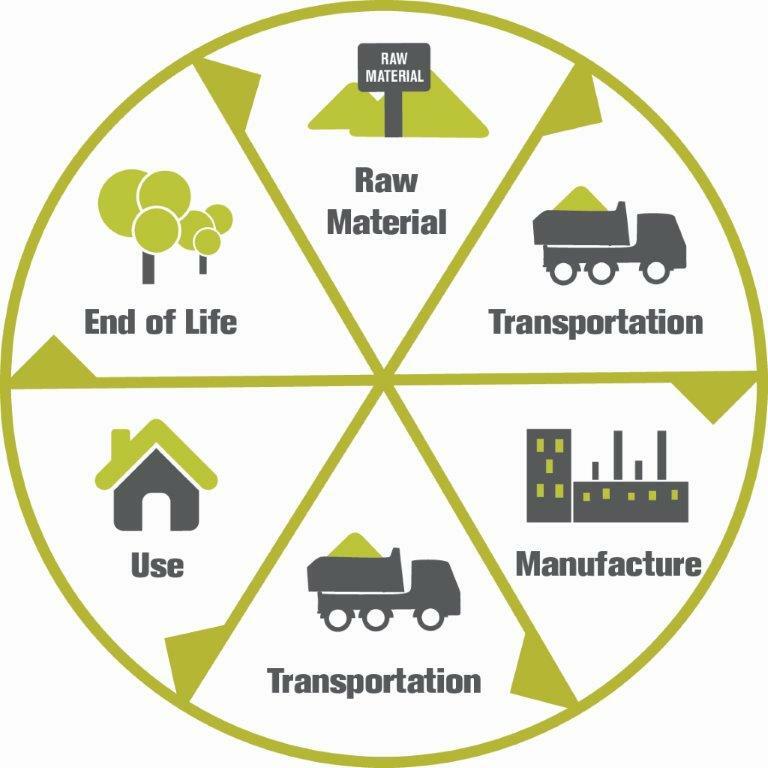 The life cycle of packaging spans from the raw materials, through consumer use, to the final end waste or recycling of the product. Ideally, packaging like paper bags, boxes, and cups would not end up in landfills very often, because these items are more easily recyclable. 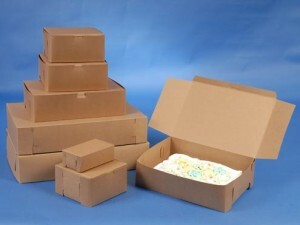 Many packaging items are also compostable and/or biodegradable. A lot of sustainability impact lies in the hands of consumers who have the option to send their used packaging to a recycling bin, garbage can, or compost. Also consider the environmental impact of shipping packaging products and materials. Items that can be shipped flat are more environmentally friendly in the shipping department. And many items need to be packaged with additional materials for shipping purposes. Post-consumer recycled content is content that is recycled by the end user of the product. These materials have already been utilized and then discarded by consumers. Post-industrial recycled content (aka pre-consumer recycled content) are the materials produced as a result of manufacturing, including scraps, trimmings, leftovers etc. Virgin materials are materials that have been produced from their raw form and have not been through any part of the recycling process yet. Compostable means that the packaging can be placed into a composition of decaying biodegradable materials, and eventually turns into a nutrient-rich material. It is almost synonymous with biodegradable except it is limited to solid materials and does not refer to liquids. Biodegradable means the product has the ability to break down, safely and relatively quickly, by biological means, into the raw materials of nature and disappear into the environment. Although there has been a lot of debate about products being labelled biodegradable that don’t really fit this description. Even plastic coated paper milk cartons take 5 years to degrade! Reusable packaging is packaging that is designed for reuse without impairment of its protective function. Many packaging items can be a trade-off of sorts; some packaging is made from mostly recycled materials but cannot be easily recycled because of lamination or other additions. Some packaging is made from virgin materials, but is still easily recyclable or compostable. 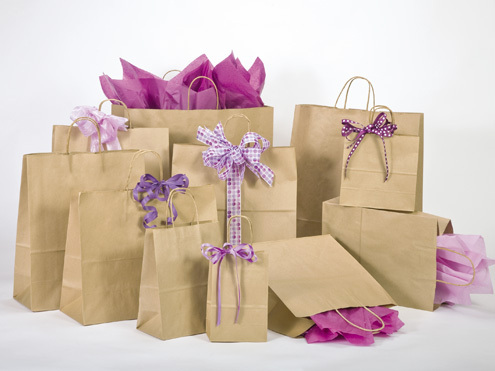 Some packaging items require that the handles, ribbons, or other components be removed before recycling. There is also a limit to how many times material can be recycled until it is no longer useful or functional. The materials will usually degrade in quality after being recycled, and quality is usually a large concern when it comes to retail and food service packaging. Food service packaging also has somewhat of an issue with recycling, as food waste and grease make materials unusable. This is one of the industries where it is important to source materials with a high percentage of recycled content. 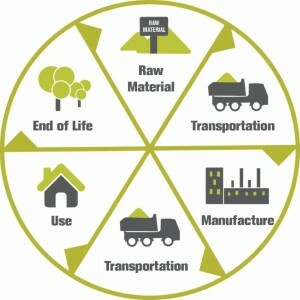 The concept of sustainable packaging involves what is called ‘waste hierarchy’. This idea, incorporating the mantra “reduce, reuse, and recycle,” defines the importance of starting at the source. Packaging is most sustainable when it aims to reduce the materials used in the initial process. Even though many packaging items are recyclable, the end users usually just throw them away or recycle improperly. Therefore, when it comes to being sustainable, prevention is the number one goal. By choosing packaging that is not wasteful, and contains preferably 100% recycled materials, you are already contributing to a positive trend. Source Reduction and Reuse: These are the most important, and largest factors in waste hierarchy. This is generally the most environmentally preferred method according to the EPA. Reusing items, buying in bulk, redesigning products, reducing toxicity and source reduction are all ways this can be achieved. Choosing packaging products that are efficient, reusable, and made with a high percentage of recycled materials is the best way to be environmentally responsible. Eliminate wasteful packaging and focus on providing high quality packaging made from a high percentage of recycled content. Reusability is a key element in sustainable packaging as well, especially in grocery stores or large retailers. Recycling and Composting: These options are mainly carried out by the customer or end-user, making them less effective at reducing environmental harm. It is important for the end user to recycle or compost products in order to really gain from this tier. Businesses should promote responsible recycling and waste disposal of their packaging to customers and possibly offer incentives for in-store recycling. The makeup company MAC offers a free product for customers who bring in 6 empty MAC containers, promoting responsible recycling while offering something in return. Energy Recovery: This is the process of converting non-recyclable waste materials into usable electricity, heat, or fuel. This is the best way to utilize non-recyclable materials and reduce the amount of landfill waste. Treatment and Disposal: Treatment and disposal of waste can help reduce toxicity to the environment and complications regarding improper disposal of waste. 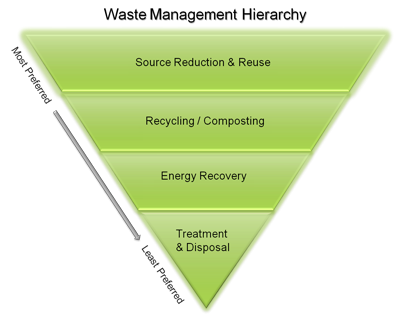 As you can see by reviewing the waste hierarchy pyramid, the source of materials is the single most important aspect of its environmental impact. By eliminating unnecessary waste, choosing recycled products and reusable products, packaging can have a large contribution to improving environmental conditions in the future. Overall, the best options for eco-friendly packaging are items made with 100% recycled materials. Splash Packaging offers several types of bags, boxes, and food service packaging options that are made from 100% recycled materials. We also stock many options with 40-80% recycled content. Remember, the end user of your packaging products may not recycle, reuse, or compost your packaging, so it is important to source materials responsibly. Always encourage your customers to reuse and recycle packaging using your marketing tools. You can also choose to utilize reusable packaging which tends to have a much longer life span and greatly reduces packaging waste. I have been more interested in becoming eco-friendly in everything that I do. I appreciate your help in understanding the difference between biodegradable and compostable packaging, because I always thought they were the same! What would be an example of a compostable packaging material? Great question! While many uncoated/natural paper packaging items are compostable, other types of materials are specifically engineered to be biodegradable and compostable. These qualities should be labeled somewhere on the packaging or listed in the product description when you are buying packaging.